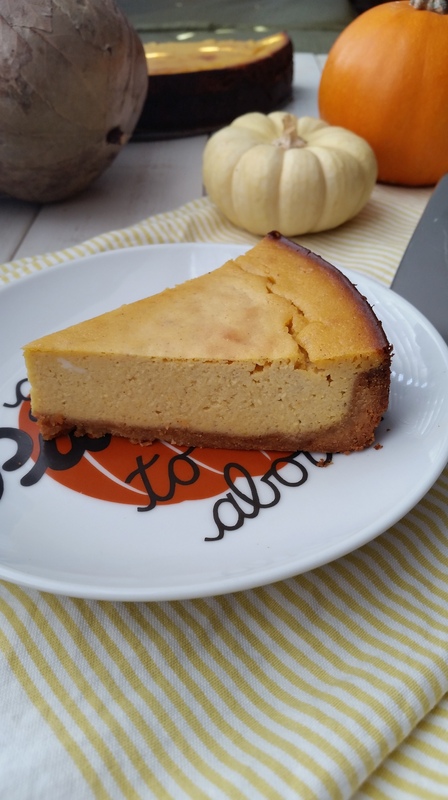 I was thinking about baking something delicious recently, that I hadn’t seen done on the interwebs, and struck up the idea for Dairy-Free Pumpkin Cheesecake. 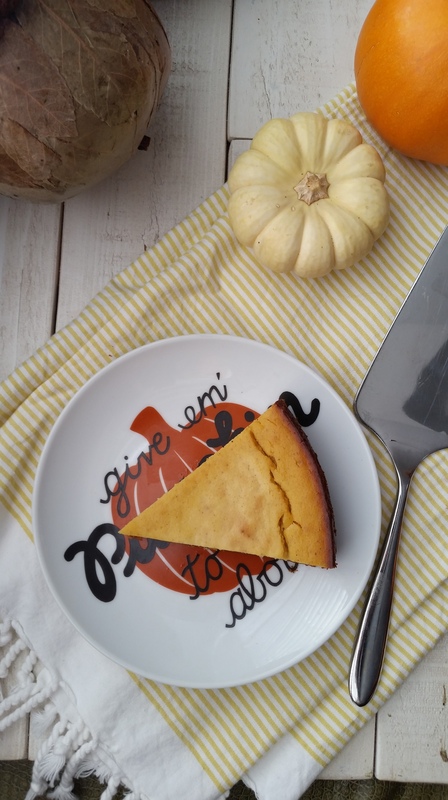 Ya’ll know I love me some pumpkin since I have done several posts on them (see here, here, & here), so it was only fitting to come up with an adapted recipe for those trying to do dairy-free. To be 100% transparent, I’m not completely dairy-free all the time, though I wish I had better willpower to do so. Remaining gluten-free 100% is no question…but the dairy still calls me back from time to time. I decided to search for a regular pumpkin cheesecake recipe thinking I could easily swap out for dairy-free replacements. Go figure, the search revealed a recipe from the famous butter queen, Paula Deen. It was pretty easy knowing I would be using my favorite, legit dairy-free cream cheese: Kite Hill Cream Cheese (found at Whole Foods). 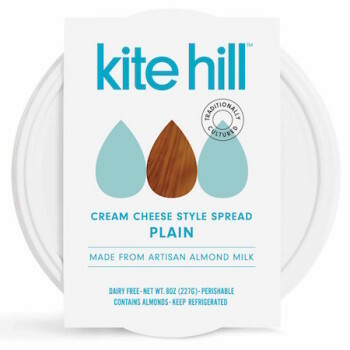 If you haven’t explored the amazingness of Kite Hill Cream Cheese, you need do so STAT and watch a whole new world open up to you! The tricky part would be the sour cream. No one has come up with a replica that I could buy, so I decided to make it myself. I have made sour cream recipes from Fed & Fit’s new cookbook, Against All Grain’s cookbook, and some I found randomly on the web. I will suggest the one I used, but am now thinking you could probably just use plain dairy-free yogurt from either Kite Hill or So Delicious (both are carrageenan-free). Do yourself a favor and whip this up for the upcoming holidays–you will not be disappointed! I’m so glad that I finally have a dairy-free recipe to make that takes be back to my childhood. PS: This crust is our go-to for all things pie, etc. Just leave out the cinnamon to make it a plain one. To make this crust in a food processor, combine nut halves or pieces with the butter, sugar, and salt and pulse until the nuts are finely chopped. Grease a 9 or 10 inch pie pan or an 8 to 10 inch spring-form pan. Add chopped nuts or almond flour to bowl. Pour in remaining ingredients and mix with a fork until combined. Using your fingertips or the flat bottom of a drinking glass, press the mixture evenly over the bottom and sides of a pie pan or over the bottom and 1/2 inch up the sides of a spring-form pan. Bake until the crust is richly browned, 10 to 15 minutes. Check periodically during baking; if the crust has slipped down the sides of the pan, smooth it into place with the back of a spoon. Pour into crust. Spread out evenly and place in oven for 1 hour. Remove from the oven and let sit for 15 minutes. Notes: You can serve this with some coconut whipped cream by combining Coconut Cream (from coconut milk hardened in the fridge) and Sweetened Condensed Coconut Milk.